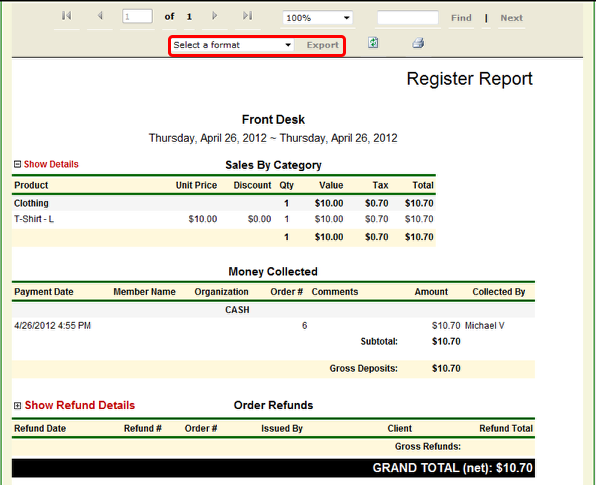 Generate a register report showing sales, money collected, and refunds by register. 1. Please select the desired register: allows you to choose a specific register. 2. Select the Start Date. 3. Select the End Date. * Click the Show Refund Details for more information.